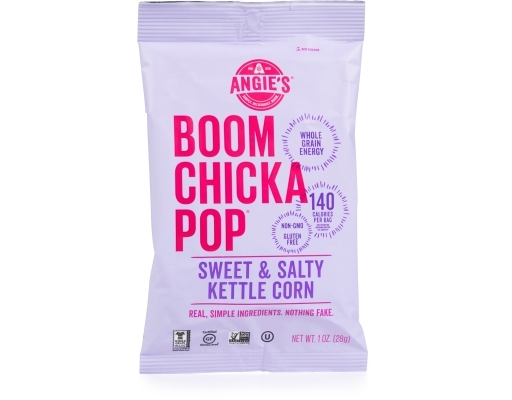 Boom Chicka Pop Kettle Corn satisfies your salty and sweet cravings without costing you calories. 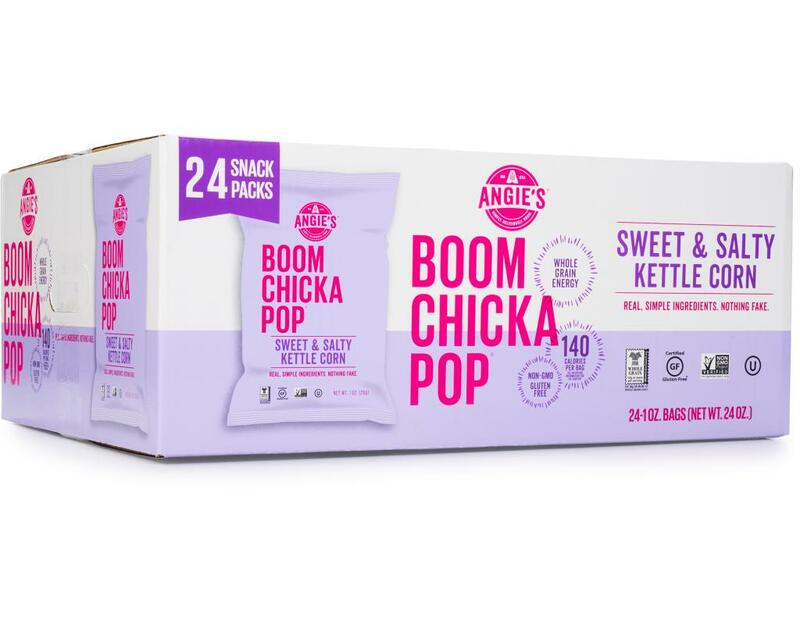 At just 70 calories per cup, even your boot camp instructor will approve! 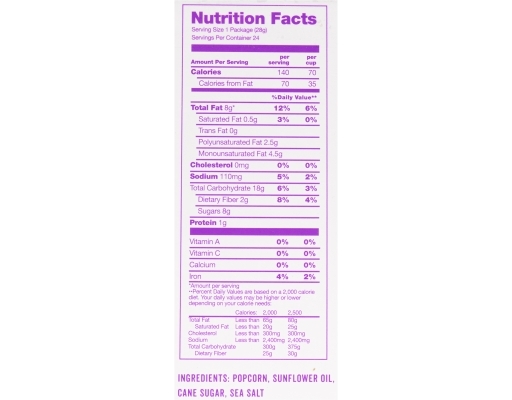 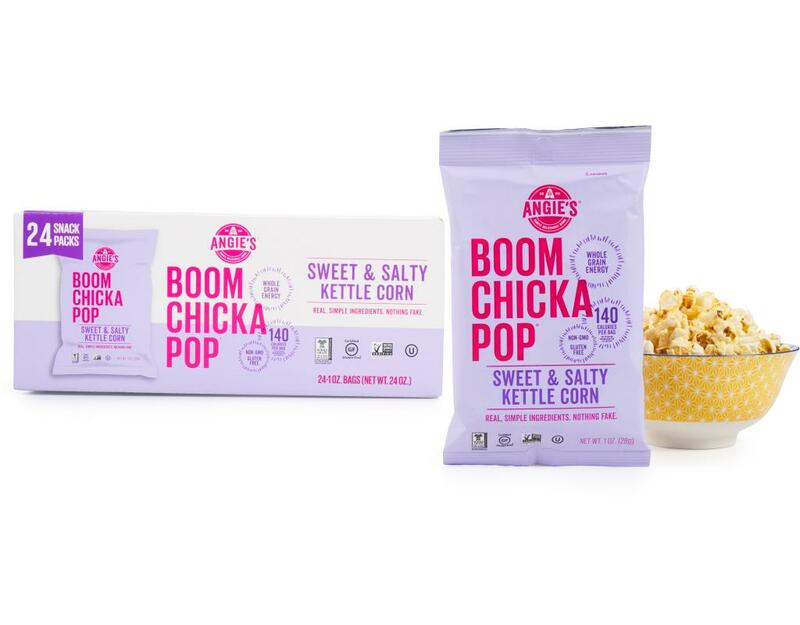 Made with four, simple ingredients: popcorn, sunflower oil, cane sugar, and sea salt. 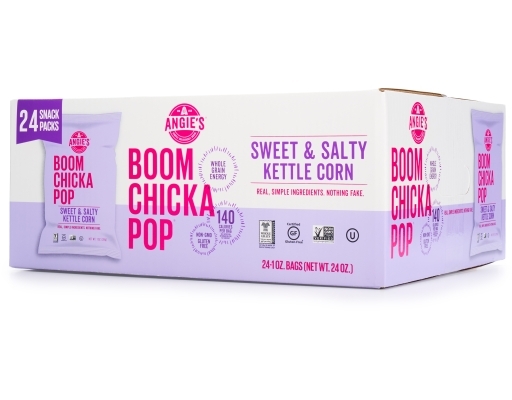 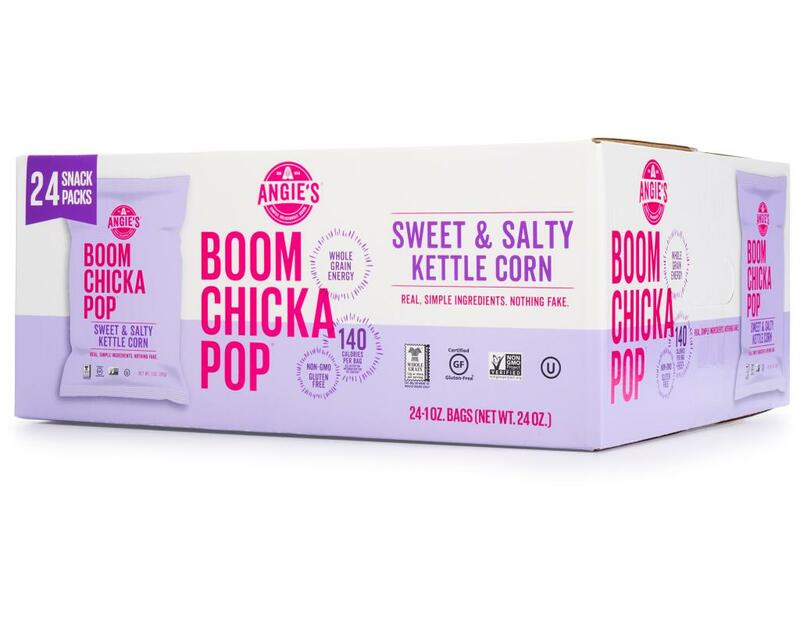 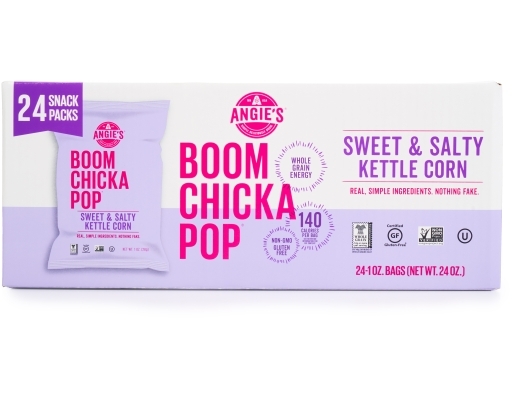 Angie’s Boom Chicka Pop Kettle Corn delivers on its promise to provide delicious, light snacks you can feel good feeding your family. 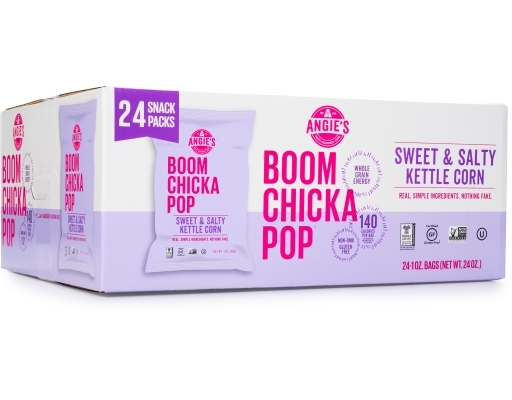 Each package contains 24 Boom Chicka Pop Snack size bags, perfect for on-the-go snacking.